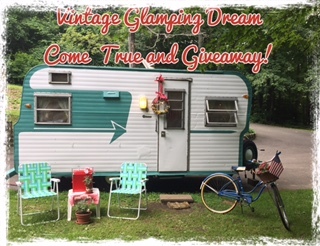 Vintage Glamping Dream Come True – And A Giveaway! In September, my husband Kim and I celebrate our 25th anniversary! 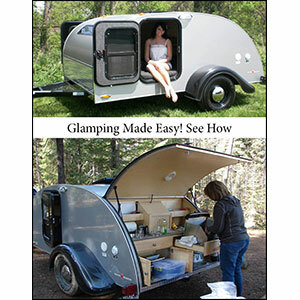 One dream we’ve always shared is someday having a camper or RV. I’d be hard-pressed to count all the ways MaryJane’s influenced me! When I first saw MaryJane’s writing on “Glamping” (she originally coined that word!) – that was it! Our dream morphed to wanting a vintage camper. Recently, that wish came true!